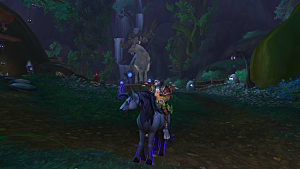 If it's been a while since you've explored Azeroth or you've never played WoW at all, it's well worth checking out these days. 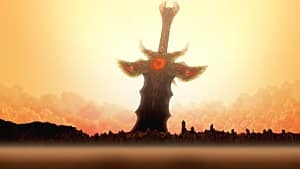 This iconic MMO has managed to withstand all challenges for a reason. 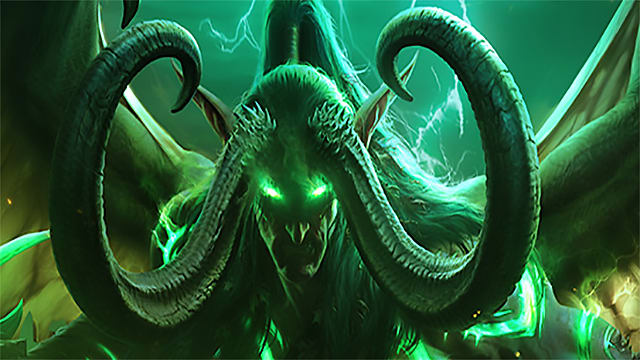 And if you're interested in games as a medium, World of Warcraft is an experience worth having -- even if you don't decide to get into its endgame. 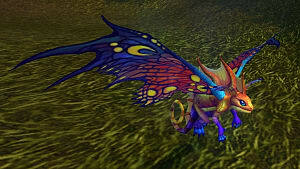 WoW is also made to be modded. Its base user interface is perfectly usable, if somewhat basic and aged, but there's a cottage industry in add-ons and user tools, ranging from simple quality-of-life improvements to total UI overhauls. Here in 2017, as we're waiting for the Tomb of Sargeras to unlock, here are 10 WoW mods that are worth checking out. If you're a long-time player, odds are good that you're already using at least 5 of them. 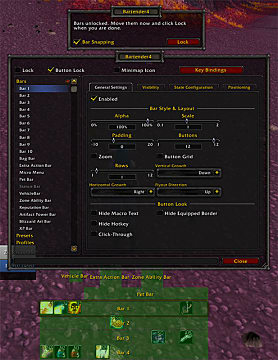 You can play WoW reasonably well by clicking all your abilities with your mouse -- but sooner or later, you'll want to start binding your abilities to keys and key combinations. It takes some getting used to, but custom key-binding is a lot faster than clicking, and it makes the game easier for you in the long run. You can do this via the standard UI, but Bartender makes the process much more user-friendly and intuitive. You can also use Bartender to customize your action bar setup, which lets you move them around, shrink or expand them (or even make them fade out when you don't need them), and add a couple more if you could use the space. 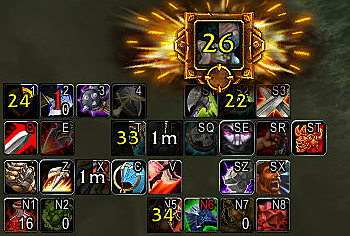 This was a bigger deal before the infamous "ability purge" in Warlords of Draenor. 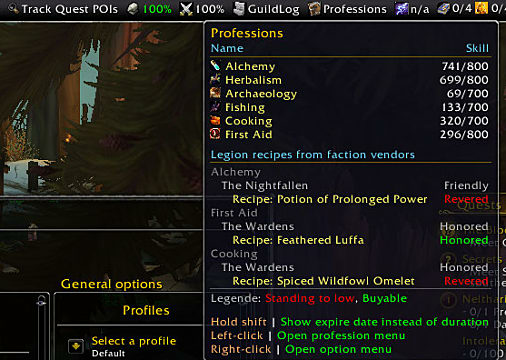 But even now, it can come in handy if you like having all your go-to interactable items (toys, food, potions, profession menu icons...) visible onscreen. Download Bartender 4 from WowAce. WoW has traditionally been lousy about giving the player useful feedback on performance. 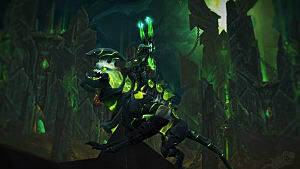 A lot of the solo and quest content has become fairly easy since Cataclysm, which can set you up for a rude awakening when you start running heroic and mythic dungeons. Without add-ons, it can be difficult to gauge what your actual numbers are, and to get them to where they should be. If you want to start getting into challenging content, you'll want to install (but not obsess over) a damage meter. There are two go-to mods for this purpose, and I'm giving Skada the win here because it's by far the more lightweight option. Recount is arguably better-made and provides a greater density of useful information, but is notorious for being a massive system hog. 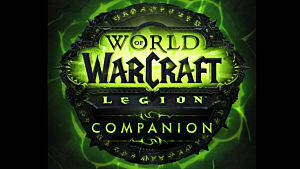 A big part of modern WoW revolves around the transmogrification system, which went account-wide in Legion and became the focus of quite a few new achievements. A lot of players spend a lot of their time playing fantasy hero dress-up, which will be further rewarded in patch 7.2.5 when the Trial of Style transmog challenge goes live. 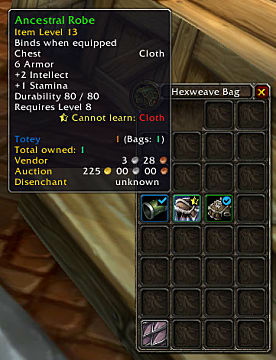 CanIMogIt adds more information to items' tooltips, including a new overlay on an item's icon that tells you at a glance whether or not you can use or have already learned a given item's model for transmog. If you play more than one character, Altoholic is a tremendous time-saver. It keeps track of your characters' inventories, bag space, professions, experience, and more -- which saves you a lot of unnecessary searching. 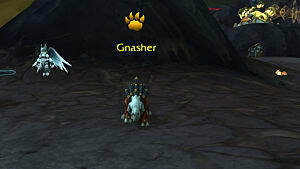 The basic unit frames for WoW haven't changed much over the years. They're a lot more customizable than a lot of players realize -- but even after a lot of tweaking, they don't communicate information as well as I'd prefer. There are also a lot of handy features built into them that aren't advertised at all, like being able to tell at a glance what your target is targeting. A lot of players end up using a frame mod of some kind, and my pick for the best is Shadowed Unit Frames. It's initially about as basic-looking as a UI mod gets, with nothing but bars and numbers, and it takes some work to get it to where you want it to be,. But for sheer functionality, it's hard to top. I appreciate how it gives me everything I want to know in a simple, clean format, and makes it easy to rearrange my target frames. 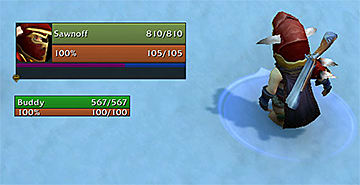 Download Shadowed Unit Frames from WowAce. A simple but effective mod, OmniCC adds a digital recharge timer to your abilities' icons, rather than the typical analog timer. It can result in a lot of additional visual "noise," but it's easier to track your cooldowns and related timers in the heat of the moment. 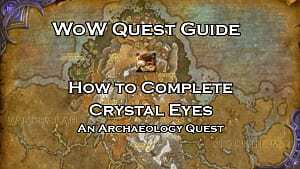 The general theme to installing add-ons in WoW is information: how much you can get, how fast you can get it, and how quickly you can react on it. With a combat text mod, you can instantly see the results of incoming and outgoing actions without having to dig them out of your combat log. It does add a lot of extra motion and churn to your UI, but I think it's worth it. There are a couple of mods that will work here, but I've been using Mik's for a while. It's robust, works well even when it's a couple of versions behind, and I prefer its options and display to its predecessor, SCT. If you're playing a healer, WoW can feel a lot like playing whack-a-mole -- so having a good healing mod makes life much easier. 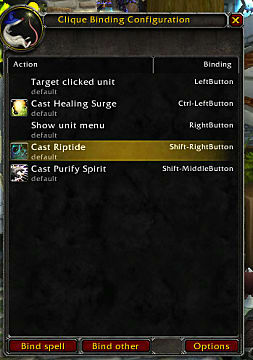 You can also use mouseover macros, which let you cast a spell on an ally without actually having to target them. 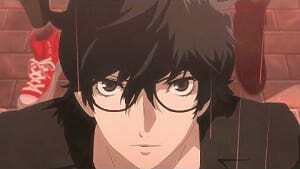 But a mod automates that process and lets you get playing that much faster. Some players swear by Healbot, but I find the combination of Clique and Grid2 to be much more user-friendly. Clique lets you reassign various abilities in your spellbook to whatever combination of button presses you like, and automatically turns that binding into a mouseover option. Grid2 is an effective and highly customizable replacement for the standard party/raid frames. Between the two of them, and with a little practice, healing gets a lot easier. Clique can be useful for classes other than healers, too. I like using it with abilities such as Misdirection or Tricks of the Trade, which let you reassign your threat to a pet or your group's tank. That being said, of course, you can do the same thing with a macro and save yourself the memory use; it's only really useful for the purpose if you've got Clique installed anyway. This isn't for everyone, but I've been using ChocolateBar for a long time, and I'll go to the mat for it. You can use this mod in conjunction with the Broker family of mods to add information and options to a drop-down menu at the top of the screen -- such as your guild roster, reputation totals, ping, current gold total, archaeology progress, and various currencies. Broker_Everything combines a lot of smaller add-ons into one customizable package, which is a lot less annoying than having to individually sort and update a dozen or more smaller Broker packages. B_E can be obnoxious to set up -- it arguably has a few too many options overall, and it doesn't track your preferences between characters on the same account. But once you've got it working, it puts a lot of information at your fingertips that you'd otherwise have to dig through several menus for. You do have to be very proactive about turning its modules on and off as you need them, like disabling everything that has to do with your garrison when you leave Draenor. Otherwise you end up with a lot of extra options that just take up limited ChocolateBar space. 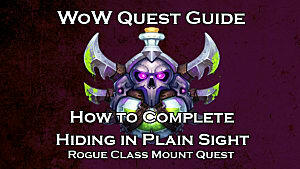 That wraps up my list of the best mods around for World of Warcraft right now. But what are your favorites? Let me know down in the comments!